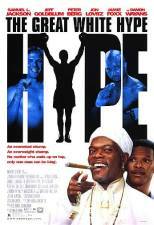 Hilarious, on-target look at the circus-like world of heavyweight boxing starring Samuel L. Jackson as a flamboyant fight promoter out to find a white "underdog" to take on undefeated champ Damon Wayans. The opponent he selects is rock guitarist Peter Berg, who beat Wayans in an amateur bout years earlier. Jeff Goldblum, Jon Lovitz and Cheech Marin co-star; co-written by Ron Shelton ("Bull Durham"). 90 min. Standard and Widescreen (Enhanced); Soundtracks: English Dolby Digital 5.1, Spanish Dolby Digital Surround, French Dolby Digital Surround; Subtitles: English, Spanish.